Terri and I have a lot in common. We love ornamental beauty! 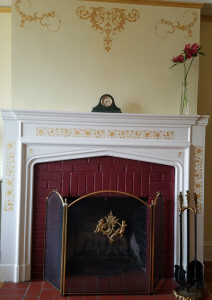 Terri saw the perfect opportunity to add some dimensional ornament to her fireplace with our raised plaster stencils. 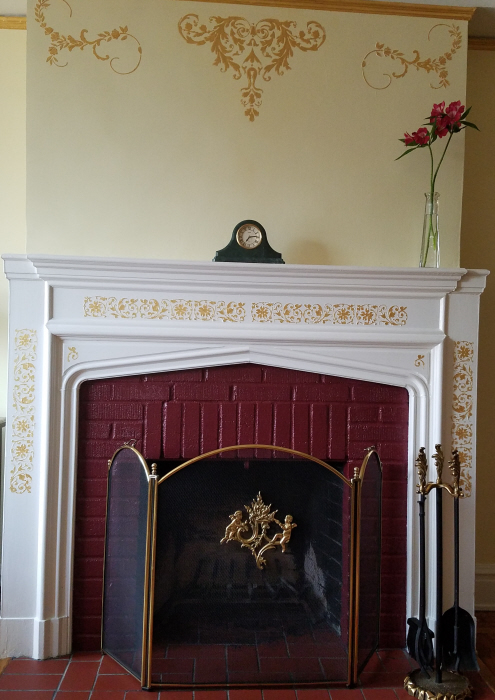 Using 3 designs for variety, she decked out the front and sides of the fireplace mantle and then on the wall above using our Raised Plaster Katherine Border Stencil, Our Raised Plaster Dresden Relief and our Raised Plaster Laureli Frieze stencil right in the center of the wall. The look is very detailed and beautiful! Thank you for sharing Terri!